Peter Honeyman, the originator of both our preservation techniques and designs, has actively guided the business since its concept stages on the island of Oahu, Hawaii, in the late 1980’s. Click here to read more about the Artist. Our products & processes: Our products are primarily made from flowers and plants using special preservation techniques, which make them practical to wear as fashion accessories, permanently (as opposed to the short term limitations of fresh cut flowers). Our techniques are constantly evolving from fashion trends & technical developments. Currently, all our pieces are made from flowers & plants grown in Hawaii yet not necessarily limited to that source. At varying times our jewelry pieces have been made from flowers grown in Europe (particularly England) and extensively at one time using roses from Oregon. The current ranges we explain fully through this website. We guarantee the performance of our Real Flower Jewelry: see our FAQ’s section in the menu. We also make custom designs particularly for special events such as weddings. Our extraordinary preservation techniques, which give each piece of flower jewelry its unmatched quality, are trade secrets exclusive to Real Flower Jewelry Inc. Furthermore, Honeyman’s research and development has resulted in registered patents with several more pending. 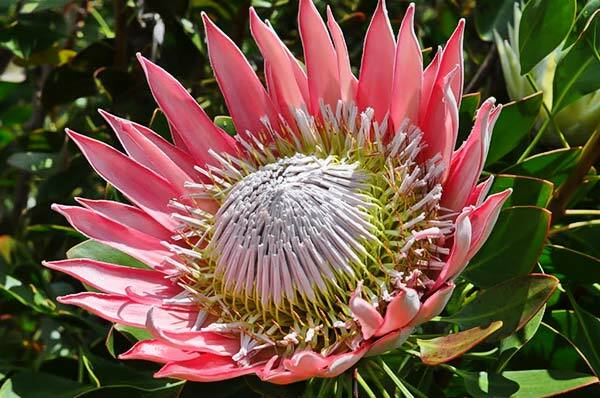 For years, Honeyman has studied many different flowers to perfect our products, working from widely different climates and locations - principally in Rhodesia (now known as Zimbabwe) in South Africa, California, and for an extended period in The City of Roses, Portland, Oregon. 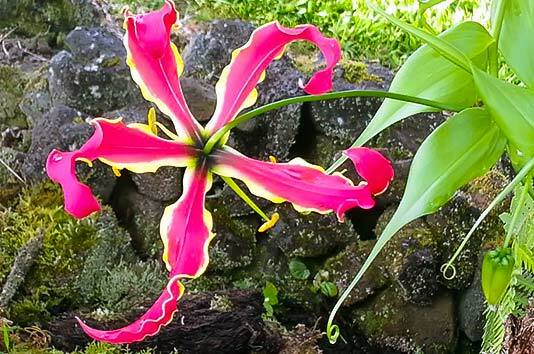 He currently operates from The Orchid Isle, the Big Island of Hawaii. Our markets: These were developed through trade, art, and flower shows in most major cities across mainland North America, and then internationally through frequent repeat personal appearances on leading television shopping networks in USA, London, Tokyo and Sydney. Our business expansion: Real Flower Jewelry began with Honeyman personally attending to every detail of each item made, and to each customer’s needs. Soon, the business reached a stage where this ceased to be practical, and it became engaged in mass production.However, this method proved difficult, as real flowers do not conform to mechanical techniques; each article produced has its own unique personality which requires an artist’s devoted attention & final touch.After experiencing significant market shifts tied to the economy, and too many international overnight business flights to meet shopping network programs, Honeyman realized that he found little personal satisfaction in this factory stage. By his own words, “the tail was wagging the dog”. He then resolved that “not being twenty-one any more”, he no longer needed to operate in that manner, and decided to devote himself primarily to the activity best rewarding him with personal enjoyment. A change in focus: Accordingly, in 2005 he ceased TV shopping network sales and closed his operations in Oahu and Oregon to relocate as a smaller company to Hilo on the Orchid Isle (The “Big Island”) of Hawaii. Living among his prime sources of flowers, Honeyman then focused on his unique boutique operation servicing the tourist trade throughout the Hawaiian Islands, through his gallery and separate retail store in Old Town Hilo and activity generated from this website whereby every item made and sold was once again a reflection of himself and his personal standards and no longer mass produced, plus, conforms to all the legal requirements for official use of the designation “Made in Hawaii”. At this point, each item sold was once again a reflection of himself and his personal standards. Mass production was gone, and he could proudly use the designation of “Made in Hawaii”. After only two years in this most enjoyable stage, the national economy entered the Great Recession. In mid 2007 two major airlines operating from Hilo declared bankruptcy within weeks of each other and led to what was effectively an economic tsunami for Hawaii’s tourist dependent Big Island, resulting in many businesses failing. Rather than be a casualty of these events, as a strategic business decision Honeyman closed both his gallery and gift shop and focused on supplying to Hawaii Islands gift stores, theme parks, galleries and other retail outlets, plus exhibiting at regional shows. He is a regular artist at the Hilo Farmers Market. Honeyman now claims to be happier at this than at any previous stage running substantially larger businesses. Feel free to ask him anytime about Real Flower Jewelry!